Spring is a great time of rejoice and romance, which makes it the best season for a wedding. If you want to have a springtime wedding and are planning for the wedding decorations, make sure that you take advantage of all that the spring has to offer. Following are some spring centerpiece ideas to help you out. The beautiful bulbs that push through the earth are the one of the first signs of spring. Some bulbs, like tulips, work great as cut flowers, whereas, there are some smaller bulbs that look their best when planted. You can decorate your tables with a fresh centerpiece of low planters that have bulbs, like hyacinth, in a tidy row. 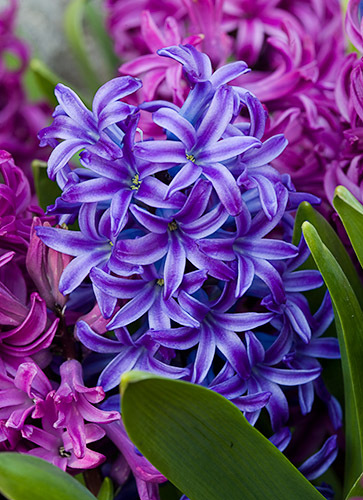 Hyacinth comes in beautiful colors such as lilac, pink, and blue. Using the informal containers, such as a hand-painted tin, will give a nice look to the table décor. One of the favorite flowers of spring is peonies. They make a lovely spring centerpiece as they are beautiful, quixotic, and appealing. You can gather and use a range of pinks peonies for a fresh garden look. 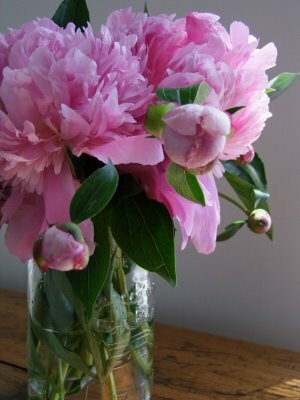 Put these peonies informally in vessels, such as pitchers and hobnail vases. Another most gorgeous and fragrant spring flowers are lilacs. They come in lilac, pink, and white colors, and could be attractive centerpieces. Combining the lilacs with other elements like ivy looks great in any spring event. 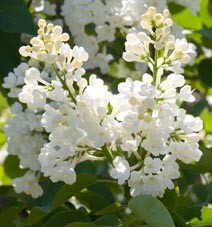 In addition, lilacs are best for outdoor receptions. These flowers are the best for the spring wedding. All you need to do is to select the spring flowers that best complements your wedding decorations.